As with the actual practices of speech-language pathologists and audiologists, clinical education and supervision practices work best when they are grounded not only in concept and theory but also in research. 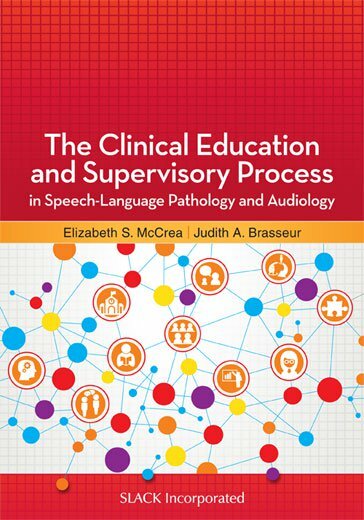 Designed to act as a complete guide to both the theory and the research, The Clinical Education and Supervisory Process in Speech-Language Pathology and Audiology provides the most up-to-date information on these crucial topics. Following in the footsteps of their mentor, Jean Anderson, Drs. Elizabeth McCrea and Judith Brasseur have taken on the task of assembling important current research and best practices in clinical education and supervision into one comprehensive resource. With their prestigious team of contributing authors, this text represents the culmination of decades of study and real-world best practices. The Clinical Education and Supervisory Process in Speech-Language Pathology and Audiology covers clinical education and supervision across five unique constituent groups: clinical educators of graduate students, preceptors of audiology externs, mentors of clinical fellows, supervisors of support personnel, and supervisors of professionals transitioning between work settings. It also includes the latest information on certification and accreditation requirements for preparation in supervision. Chapter appendices add numerous ancillary materials, allowing readers to easily adopt the most successful processes and strategies the research has revealed. Sample scripts of supervisory conferences, self-assessment tools, action plan tools, and analysis systems can all be found inside. The Clinical Education and Supervisory Process in Speech-Language Pathology and Audiology is intended as a primary resource for anyone in those professions in any setting who is engaged in the process of clinical education and supervision. With this text as their guide, clinical educators and supervisors will be able to ground their practices in the vast compiled research and study contained within.